We have been providing Maryland with quality work since 1935. As a family owned and operated business we strive for customer satisfaction. We are Compass Ironworks, established in 1998, an off the grid company in Lancaster County, PA. Lancaster county is internationally known for its skilled artisans, impeccable craftsmanship and dedicated work ethic. We create and forge Iron or solid aluminum from raw elements to completed, sophisticated Iron works of art, collaborating with architects designers, builders and homeowners to create their specific design style. Utilizing raw materials with 97-100% recycled content, and a robust and eco-friendly powder-coat that is VOC-Free and 99.9% reclaimable. 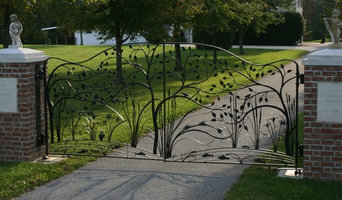 We service the Mid-Atlantic region and beyond with an emphasis on quality, service, and sustainability, creating timeless and stunning Iron Masterpieces for Estate Gates, Interior main foyers, terrace railings, swimming pool or property fences, and waterfront areas subject to harsh elements. Elemental Metalworks is a full service custom metal fabrication shop. Our services include design and shop drawings, fabrication, finishing, delivery, and installation. 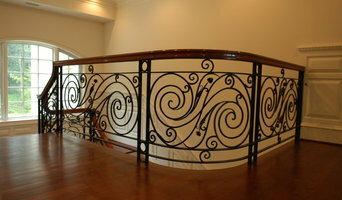 We work on a broad range of projects from ornamental architectural metal, structural steel, custom interiors, sculpture, furniture, marine work, prototypes, & signage, to simple items such as residential stair rails, and miscellaneous ironwork. We work in a wide range of materials including metals such as steel, stainless steel, aluminum, brass, bronze, and copper, and also incorporate wood, glass, and concrete. And we offer a vast array of finishes including polishing, painting and powder coating, galvanizing, anodizing, and oxidation & patinas. We enjoy and excel at the challenges of something new. Utilizing our diverse backgrounds and experience, we work closely with designers, contractors, business & home owners to understand visions and achieve desired results. 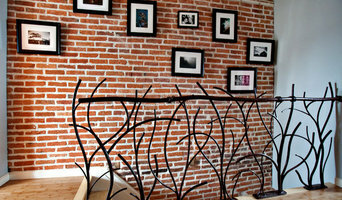 Creative Iron is a custom iron shop specializing in decorative and functional iron designs. We re-purpose or repair metal items as well as create new from your design. We can bring your iron ideas to life! We are located in Avondale, PA.
Rock Ridge Forge is uniquely qualified to provide custom ironwork for residential and business clients in the greater Baltimore/ Washington, D.C. region and southern Pennsylvania. Customer satisfaction is the utmost priority with each item created. 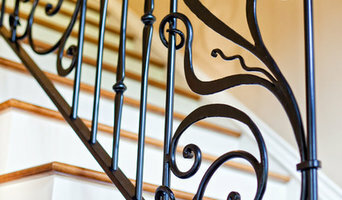 We are thankful for the opportunity to meet the growing need for custom ironwork in the area. Established in 1987, Master Blacksmith Clayton Miller founded Rock Ridge Forge to provide reasonably priced merchandise of uncompromising quality, believing that even the most functional article should be aesthetically pleasing. He personally oversees every aspect of a project from beginning to completion. Items are designed to client specifications using drawings, photographs, samples, or books depicting wrought iron designs. We at Artotec,Inc strive to produce the best products be it Railings, Gates or fence and that has been our main goal since the establishment of our family business for over a decade. We work with our clients in trying to find the best possible fit for what ever the job requires. Our products are all made to order and it is manufactured using the best possible products to achieve the highest quality possible. Contact us for your projects and let us help you design and fabricate that one of a kind metal work. We are a welding company that is family owned and operated. We are certified and insured. Offering both shop fabrication as well as mobile welding services. We serve the Northern Virginia area. NOVA Steel and Supply of KGW Inc. Working with do it yourselfers and contractors to supply and install steel for your home. At Heavy Metal Ironworks, we truly believe in delivering the best quality products at a reasonable rate. Unlike fences and rails you may be able to purchase at your local hardware stores, we have the ability to customize our products to your liking . When choosing us, you can rest assured that you will be receiving long-lasting pieces that will not only accentuate its surroundings but will bring safety and durability to your home. We are a small business that specializes in refinishing and restoration of iron and steel. Gino C. Barbati founded Barbati Welding in 1999 and provides professional metal fabrication and repair services to the commercial, industrial and residential markets. Barbati Welding has been providing welding services for over 15 years. There is no welding or fabrication job too large or too small for us to tackle! An ornamental ironworker fabricates bulk iron into the types of structures that a particular home calls for, then installs them onsite. Some of these pieces are mass produced, others custom crafted. Many ornamental ironworkers also have the design skills to fashion unique decorative components. Ironworkers must be trained in safety to create elements such as railings and balconies that both satisfy a home’s aesthetic needs and meet Lutherville Timonium, MD building codes. Here are some related professionals and vendors to complement the work of ironwork: Fencing & Gate Sales & Construction, Decks, Patios & Outdoor Enclosures, Siding & Exteriors. Find an ironworker on Houzz. 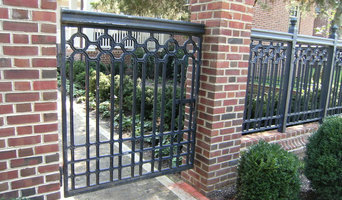 Narrow your search in the Professionals section of the website to Lutherville Timonium, MD ironwork. You can also look through Lutherville Timonium, MD photos to find examples of ironwork that you like, then contact the ironworker who fabricated them.